You know your body could be better - that goes for everyone, even guys like Lebron and Arnold. And everyone’s got a million excuses for why they dropped their last diet or stopped working out. The truth is - it’s easier than working out and eating right, and picking the easier option is human nature. Are you ready to break the rules? 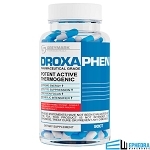 Superdrine RX-10 is a well-balanced, thermogenic dietary supplement designed to help you kick those lazy, bad habits and set new ones that will stimulate and prolong your life. 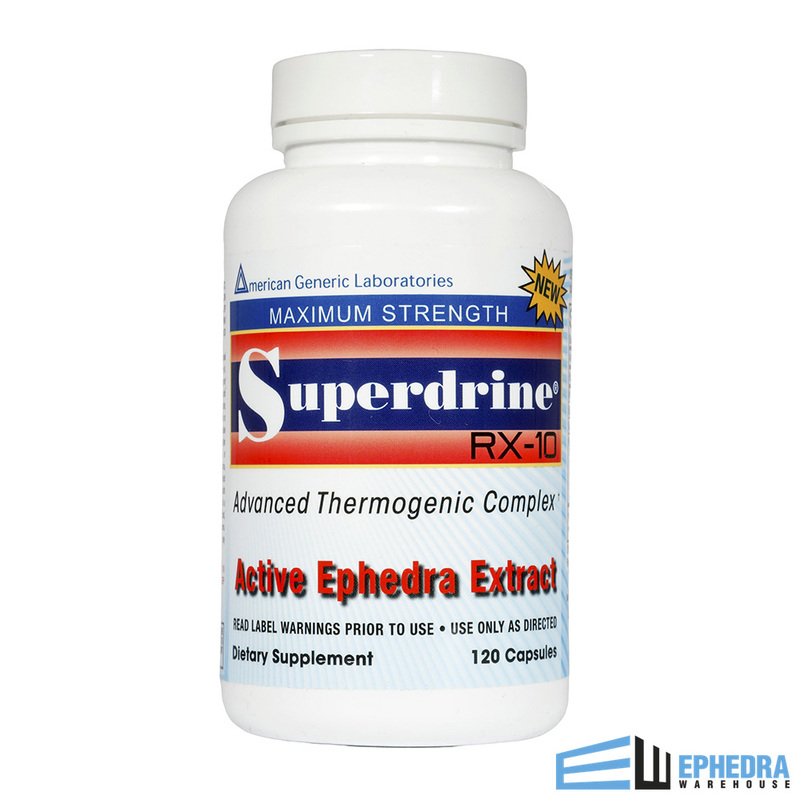 Although Superdrine contains 20 mg of ephedra, it is still a supplement and not a magic solution. The weight that you put off will be a result of your efforts, and nothing can take that away from you. The road to clean living and a healthy body is long, windy, and often cluttered with crap! Lower energy levels from dieting. Cravings for the worst food possible appear at the absolute worst times. Long work days can make a trip to the gym seem as far away as the moon. Think of Superdrine RX-10 as your personal snow plow, clearing the debris off the road, so you can have a smooth and worry-free trip. You might be new to supplements, or you might be the guru who has run through them all. 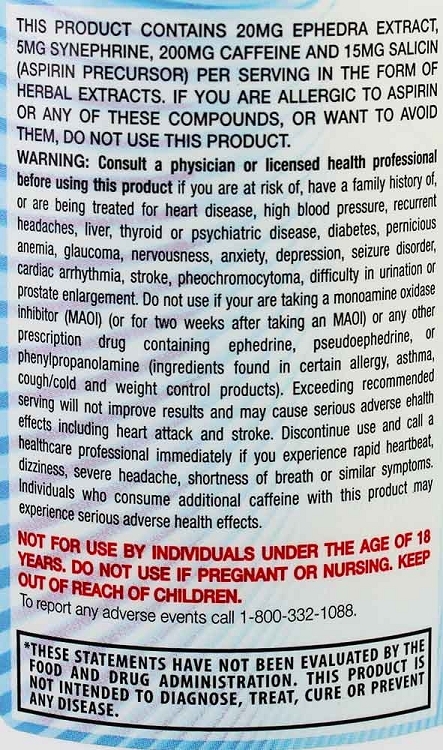 We’ve all seen those impossible-to-pronounce ingredient lists on the labels of countless supplements. Superdrine RX-10 brings a balanced formula to the table, with some of the hottest ingredients with thermogenic properties as well as all-natural, carefully sourced phytochemicals to bring you the best of both worlds. Work Stronger and For Longer! Stop making excuses for weak reps at the gym. It’s time to start killing your workout routine. Help Your Body Burn More Fat! Time for you to stop making excuses and start making results. Ratamess NA, Bush JA, Kang J, Stohs SJ, Nocera VG, Leise MD, Diamond KB Faigenbaum AD. The effects of supplementation with P-synephrine alone and in combination with caffeine on resistance exercise performance. J Int Sports Nutr. 2015 Sept 17:12:35. Miyamoto M, Matsuzaki K, Katakura M, Hara T, Tanabe Y, Shido O. Oral intake of encapsulated dried ginger root powder hardly affects human thermoregulatory function, but appears to facilitate fat utilization. Int J Biometeorol. 2015 Oct:59(10):1461-74. Chen IJ, Liu CY, Chiu JP, Hsu CH. Therapeutic effect of high-dose green tea extract on weight reduction: A randomized, double-blind, placebo-controlled clinical trial. Clin Nutr. 2016 June: 35(3):592-9. 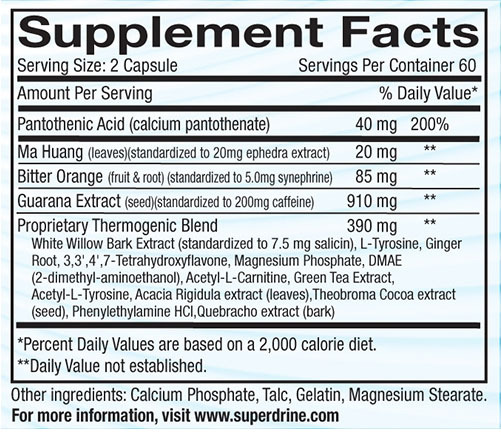 Superdrine is the best diet pill I have tried in a long time. It gives me tons of energy and really helps me loose weight. I used to take Xenadrine so I'm glad I have found something similar. I will grade it as fair/good. I still don't think it has the same impact as Xenadrine RFA-1. I don't feel the focus or energy as I felt with Xenadrine. Also I don't see the results such as lean muscle mass. I used to experience losing fat but keeping my muscle and tightened skin. The formula is not the same. I have not finished a bottle yet and I will go ahead and order another bottle to see if this just takes longer. I am using it with great healthy eating and working out. In addition, I wish cocoa was not added as I am allergic to chocolate and that is probably counter acting with cut lean muscle. Please remove. More people are allergic to chocolate. I will provide a future update. Great energy booster, 1 capsule lasts about 2 hours for me, and suppresses my appetite the entire time. I know when it wears off, I can hear my stomach growling. High quality product with no adverse effect by taking one pill every other day. I am so happy to have found Epherda Warehouse. I am losing weight and I love this product. I don't have any side affects, and it really helps to curb my eating. I will be ordering another bottle once I am done with this once, the shipping was also fast. I recommend any one to buy from this company, because you will get great results from the products used. These really give me the energy I need to Workout that extra time! 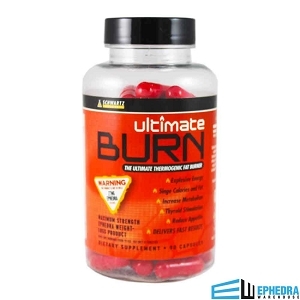 I highly recommend this product because it does help you lose the fat! Works well. Would definitely recommend this ! Totally love this product. Keeps me energized and hunger free!